How to select non adjacent files in explorer list view? 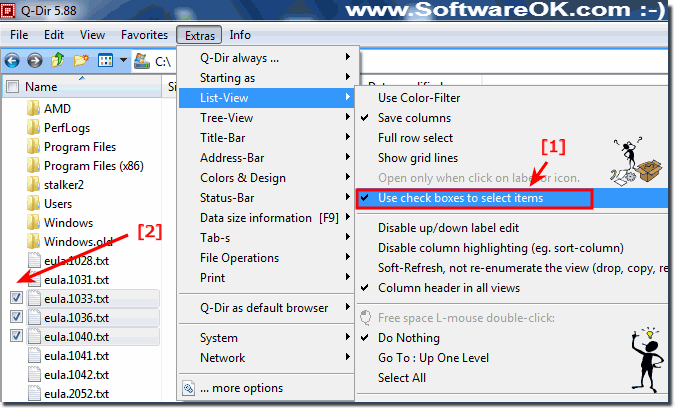 Simple select non adjacent files in the explorer list view of Q-Dir , 4 solution for this problem! It also does not matter if the windows is 10 or 8.1 or an older Windows that is very easy to mark ergo select non adjacent files in the Quad-Directory-File-Explorer or MS-Explorer! 1.) ... Solution 1: select multiple files with help of CTRL! 2.) ... Solution 2: select multiple files with help of Q-Dir select! 3.) ... Solution 3: select multiple files or folders via check-boxes! 4.) ... Solution 4: select multiple files or folders via column filter! 5.) ... Multiple screen Setup Bug in List View? 1.) Solution 1: select multiple files with help of CTRL! Please hold down the CTRL key and click the files via right mouse or space! The first click on a file is select, the second click is deselect (unselect) the file or folder! (Image-1) Select non adjacent files with help of CTRL! 2.) Solution 2: select multiple files with help of Q-Dir select! See also: ... How can I filter the Files in Q-dir! (Image-2 Select multiple files in explorer list view via Q-Dir selector! 3.) Solution 3: select multiple files or folders via check-boxes! Please enable "Use check boxes to select items"
(... see Image-3 Arrow-1 and 2) is for windows vista, seven, eight, 8.1 and higher! See also: ... select multiple files using checkbox why not in Q-Dir!? (Image-3) Select multiple non adjacent files in Q-Dir check boxes! 4.) Solution 4: select multiple files or folders via column filter! the solution is for windows vista, seven, eight, 8.1 and higher! 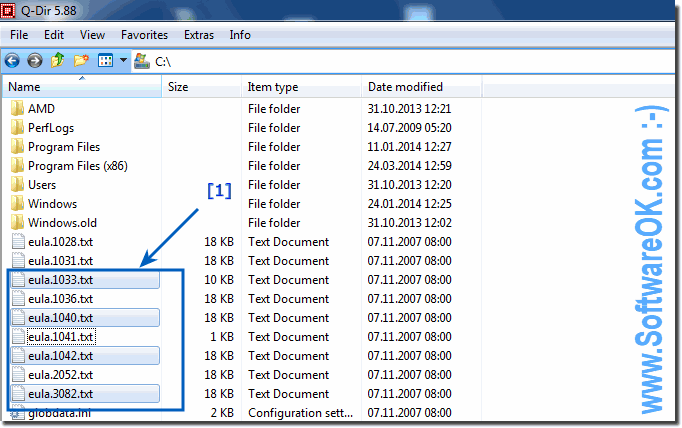 (Image-4) Select files in explorer list view via Columns file filter! 5.) Multiple screen Setup Bug in List View? Multiple screen setup, 2-3 depending on location I run Q-dir in 2 left one right layout. If the columns are to wide a scrollbar appears in the bottom. If I then try to click, drag-select multiple items in a dir, From the white beneath the last items (very important), then my mouse-cursor teleports all the way to my second screen on the right. Note: This only happens when I use Q-dir on the left screen and have a screen on the right of it. This issue has been bugging me for a few months, I hope you'll be able to fix it. The Selecting or marking of non-adjacent files is not a challenge, even for a novice Windows user which previously worked eg on Apple's MAC OS. The elegant solution is written not only for Windows 10, although these screenshots have been made under Windows 10. You can safely use this markup / selection solution on other versions of Microsoft's Windows operating systems to tag non-adjacent files, whether it's a Windows desktop, tablet, MS Surface Pro / Go, or even a Professional Server operating system. It is a simple yet effective way, use it and get in touch with the benefits of selecting or marking of non-adjacent files in all explorer views. Is a nice example that makes much more fun and is very beneficial to use file selection solution, on the new MS Windows OS, or on any of older OS. 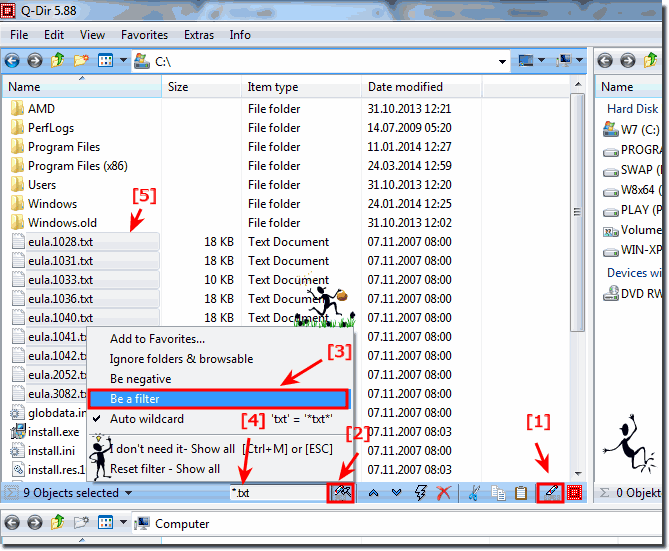 Q-DIR - FAQ-99: How to select non adjacent files in explorer list view? Remove Quad-Directory-Explorer from Windows Autostart (Startup), how to? How to select non adjacent files? Write the steps to select adjaent file of folder? What keyboard button would I press to select files that are adjacent or continuous in the file management software? What is adjesent and non adjesent folder? 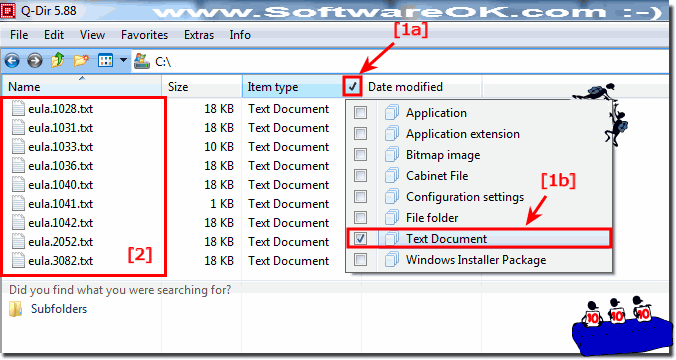 Software to select files from windows explorer from a list? How to select images which are not adjacent in folder in windows 10? State the steps involved in selecting adjacent? Which key is used to select non adjacent file? Adjacent and non adjacent files? Selecting adjecent and non adjecent icons? To select adjacent files or folders, hold down the which key? Non adjecnt flies in file expikorer? The key selecting non adjacent items? In Microsoft file explorer how do you select adjacent files or folders.? Wich key do we use to selct non adjacent fils?